Round 10 mm There are 4 products. 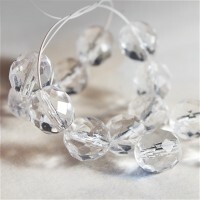 Glass Czech round clear faceted beads, color CRYSTAL. 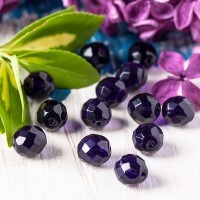 Czech fire polished dark purple beads. 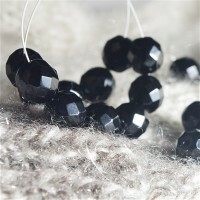 Glass Czech round black faceted beads, color JET. 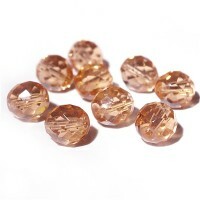 Czech fire polished transparent peach beads, color ROSALINE.